Ensure your social media promotion gets maximum exposure! With so many social media touchpoints available to fresh produce marketers, it's easy to miss one when you launch a new promotion. 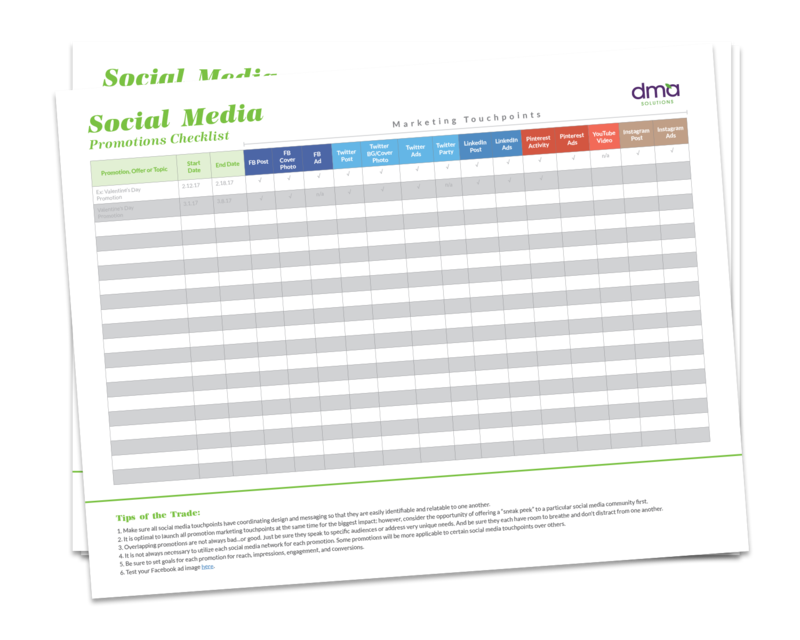 We recommend using this handy social media promotion checklist as a proven, quick resource to cover your bases when planning and executing short and long term promotions across social media platforms. Fill in the name of your promotion and check off each social media platform so that your campaign or promotion reaches a wider audience. Get one step closer to fully integreate social media campaigns!